During the Crusades, the great helm was very much the pinnacle of design for a knights helmet. As such, even kings would have worn it! And this Kings Crown Medieval Great Helm is one designed to suit his royal highness in virtually every way. This helmet reflects the traditional elements of the classic great helm, with a few extra touches to suit those warrior-kings who might ride into battle. 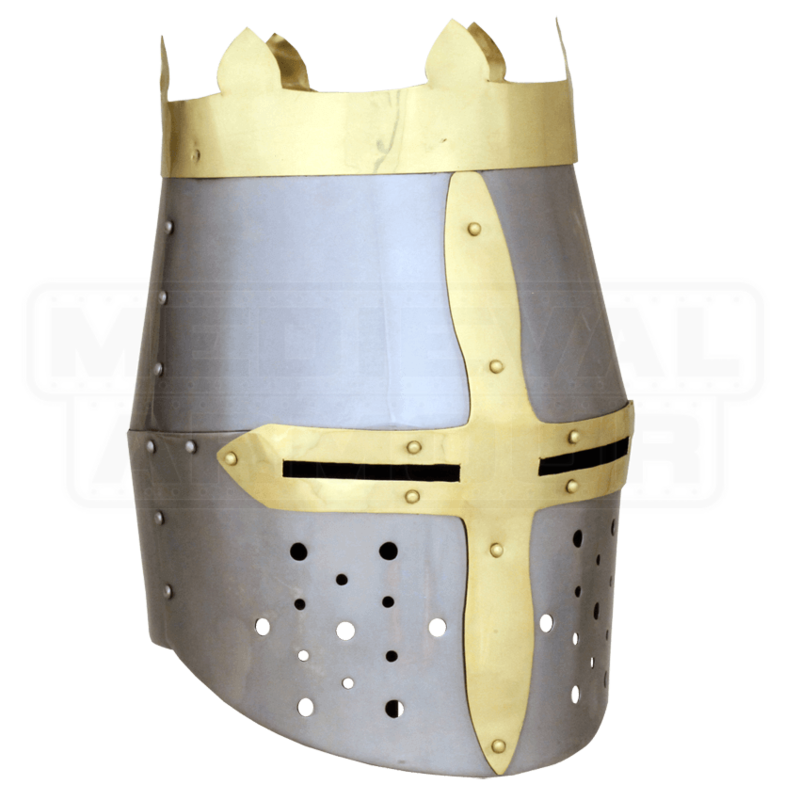 The helmet is made entirely in fine 18 gauge mild steel, which makes it thick enough to provide some protection in LARP and light combat, while also being light enough to wear with ease for casual costuming and events. The helmet has a polished metal finish, and is adorned with a brass cross over the eyelets, as well as with a basic crown, which is fixed atop the brow of the great helm, giving it a unique and identifying factor that few could mistake upon seeing. 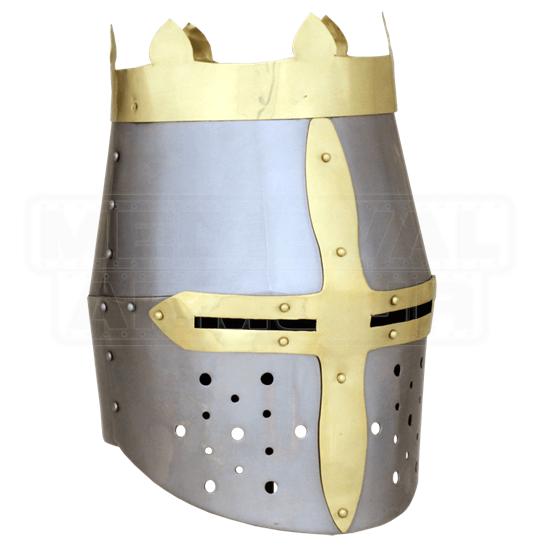 For a king who wants his warriors to see him, to know that he rides with them, this Kings Crown Medieval Great Helm is a singular defense that makes any who wear it immediately and easily identifiable, as well as memorable and noteworthy, too. One size fits most. Fits a 22 to 23 Inch Circumference.